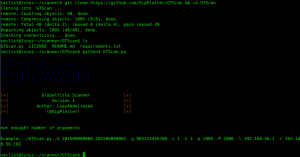 Browse: Home / GTScan – The Nmap Scanner for Telco, with focus on telecom security. 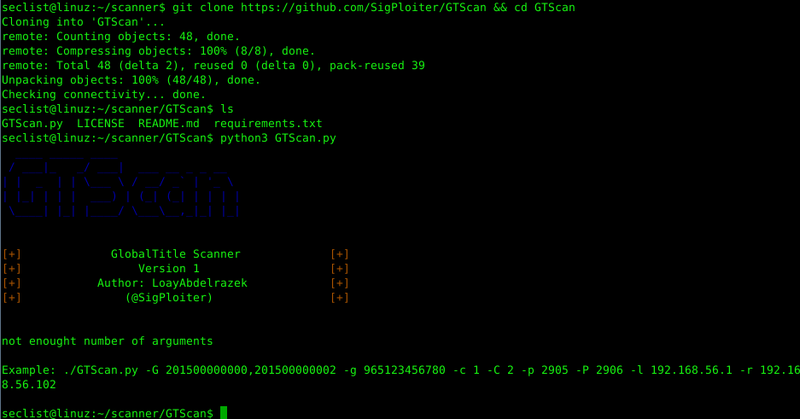 GTScan – The Nmap Scanner for Telco, with focus on telecom security. The current security interconnect security controls might fail against reconnaissance , although mobile operators might implement SMS firewalls/proxies, Interconnect firewalls, some of those leak information that could be used for further information gathering process. The motivation behind this project, first adding a new toolking into the arsenal of telecom penetration testers. Second give the mobile operators a way to test their controls to a primitive methodology such as information gathering and reconnaissance. 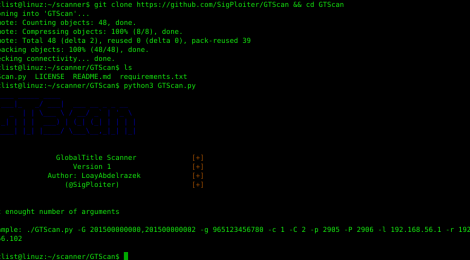 * GTScan relies on using emtpy TCAP layers as probes to detect listening subsystem numbers (i.e application port numbers like 80 for http, 443 for https but for telecom nodes) on the respective global titles. With this way will be able to map the network and use the results to conduct targeted direct attacks to the respective nodes. ← MSDAT – Microsoft SQL(MsSQL) Database Attacking Tool.